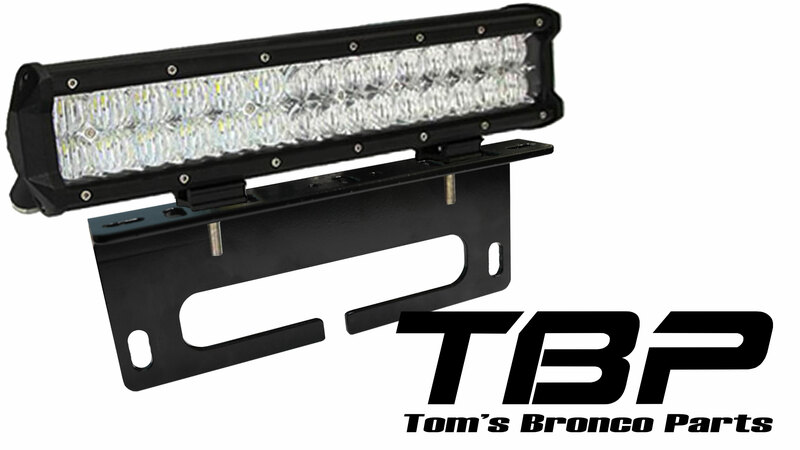 TBP Off-Road Brand 14.8" Dual Row LED Light Bar w/Wiring Harness & Winch Fairlead Mount. COMBO (Flood & Spot) light pattern. The fairlead mount offers a convenient mounting location right behind your winch fairlead without requiring and additional drilling. This LED Light Bar features pantented REAL 4D Optics Technology that creates light output that is up to 5 times brighter than that of traditional led off-road lights. Kit includes one 14.8" Dual Row LED Light Bar, Wiring Harness and Mounting Bracket w/Hardware. Housing is die-cast aluminum and hardware is stainless steel. IP67 Waterproof rating. Wiring harness operates one light off of one switch and features weatherproof connectors. The slide brackets of this light bar mount to the underside of the light bar and can slide in and out to adjust to multiple mounting positions.